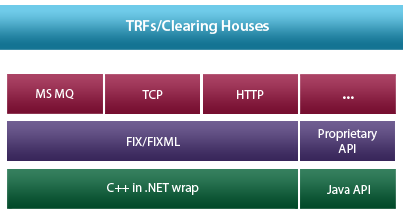 The fastest, most comprehensive and feature rich FIX reference source. 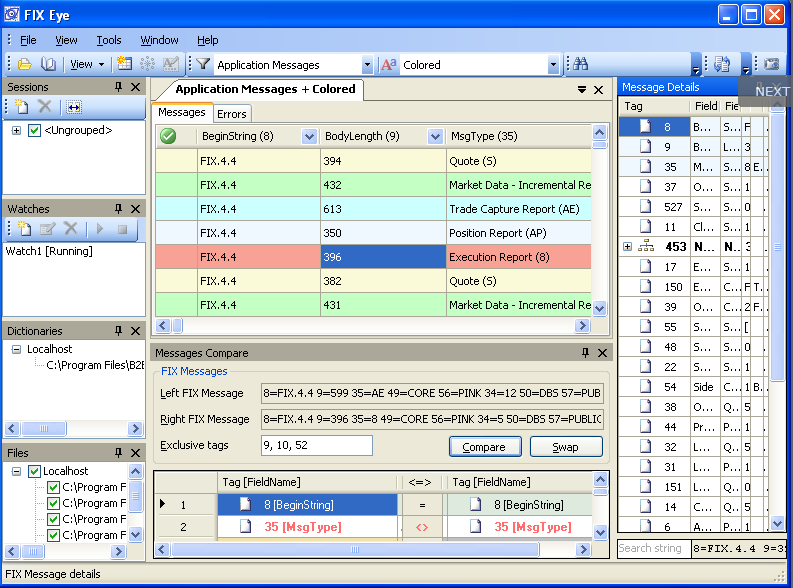 An application server providing FIX connectivity to multiple clients. The fastest multiplatform FIX Engines available on the market. Allow sending subscription to one or multiple instruments and support all the features of various Market Data feeds ( FIX, FIX/FAST or native API-based). Allows creating a trade reporting connector to FIX protocol based TRFs. Trading systems can integrate this connector to implement MIFID and Reg NMS compliant practices. Allows sell-side and buy-side firms to quickly and easily detect and solve a full range of problems related to violations of the FIX protocol specification and of application level conventions. Allows subscribing for trade capture from various Trade Capture sources. FIX Eye and FIX Grep are the next generation forensic tools for analyzing FIX logs. Allows receiving drop copy of trades from various Drop Copy venues.